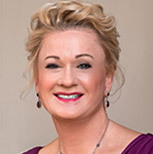 From the desk of Nicole Truszkowski, your Weekly Luxury Market Report for Carmel and Pebble Beach Real Estate for the week of May 28th, 2016. Luxury Real Estate Activity took a bit of a dive in both the Pebble Beach and Carmel real estate markets. We’re still seeing popularity among the $1 – $2 million-dollar listings; these homes fly of the shelf. This weekend is Memorial Weekend and is the official kick-off to the summer season; we expect an up tick in activity with the influx of seasonal visitors. For details on what happened this past week, see below. 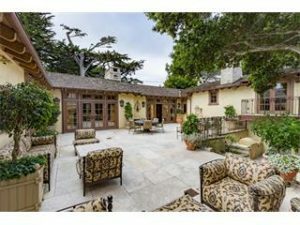 Pebble Beach only had one new listing, a move-in ready home in the Country Club West neighborhood. The home showcases an open floor plan and lovely private backyard, listed for 1.795 million I anticipate this turnkey property will go into escrow very soon. Four homes went pending all in the 1.1 – 1.7 million dollar price range, with all but ONE spending 30 days or less on the market. These three pending homes were also located in the Country Club neighborhood. Lastly three homes sold, including a big-ticket home on the famed 17-mile drive. This ocean view estate located near the lodge, spent 235 days on the market, showcased an original list price of 6.7 million, and finally selling for 5.5 million. Another home I’d like to note, is a residence located in the Upper Forest neighborhood, which spent 10 days on the market, was listed for 1.025 million, and sold for 1.075 million. 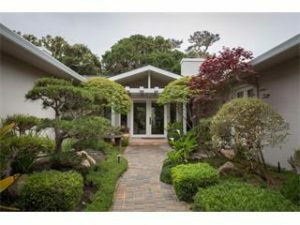 Click on the link to search the most up-to-date information on available Pebble Beach homes for sale. Carmel real estate showcased ten new listings this week, which is up from the previous two weeks. Hot on the market is a recently built home on Isabella, and located in the coveted Carmel Point neighborhood. This grand estate features 5300 Sq.ft. of living space on an extra large lot, with a theater room, climate controlled wine cellar, and spectacular outdoor living space. Before it’s remodel in 2012 this home last sold in 2006 for 2.55 million. The fantastic remodel and additions do warrant a 9.95 million dollar price tag, considering the lot size and the close proximity to the beach. Two homes went into escrow this past week: a recently renovated home on Casanova & 12th, listed for 1.795 million, and spending 142 days on the market and a home on Guadalupe & 5th, listed for 1.449 million, and spending just 27 days on the market. Two homes closed escrow; a home on Upper Trail on a 1/3 acre, spent 39 days on the market, was listed for 1.195 million and sold for 1.11 million. We also saw a home on Torres & 10th, a fixer on a 7300 sqft lot, spent 36 days on the market, was listed for 1.178 million and sold for 1.1 million, essentially selling for “lot value”. Click here to search the latest available Carmel homes for sale.